Only a small percentage of baseball players who sign or are drafted end up playing in the major leagues. Therefore, when a prospect pans out and goes on to have a solid career, it’s quite the accomplishment. 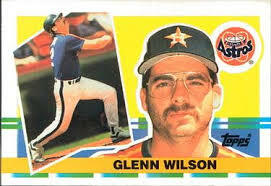 When outfielder Glenn Wilson became a professional player, he began with high expectations but more than lived up to them during his decade as a big leaguer. Roger Kahn, Donald Honig and David Halberstam are some of the names on the short list for of the greatest baseball authors. Someone who is making a serious run at that distinction is Glenn Stout, who is submitting another entry to his resume with The Selling of the Babe: The Deal that Changed Baseball and Created a Legend—an outstanding take on the Bambino’s famous sale from the Boston Red Sox to the New York Yankees. Carl Yastrzemski And The Boston Red Sox: Did You Know? Carl Yastremski was the last major league baseball player to ever win the triple crown before Miguel Cabrera in 1967 – a span of 46 years. Every major league baseball team has their own Mount Rushmore; their most iconic players from respective franchise histories. Although his career has been much discussed, here are some things that you may not know. What would be tougher? Being good enough to play major league baseball but only get in to five games? Or having all of those five games come before your 17th birthday? 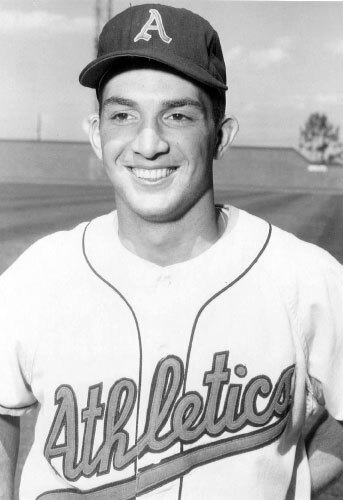 Only one person knows that answer for sure, and its former shortstop Alex George, who reached the pinnacle of his baseball career as a teenager in the autumn of 1955. Hopes are high for the 2016 Boston Red Sox. A strong offseason that saw them land a number of players, including beefing up a lackluster pitching staff, has optimism running high. However, not everything is necessarily rosy. 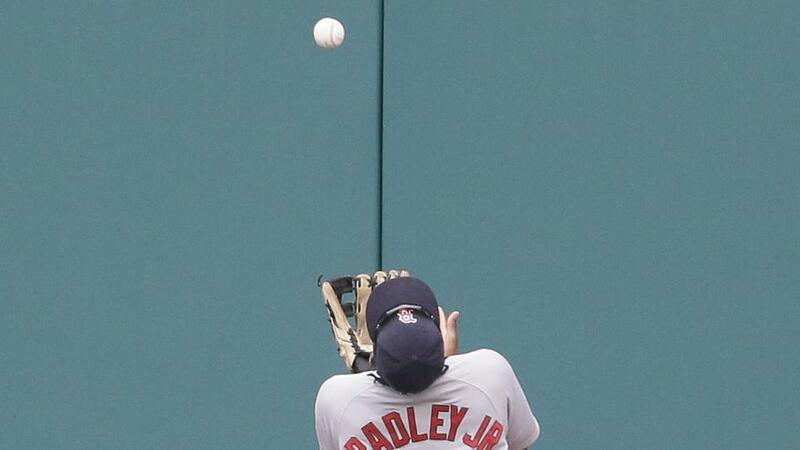 Although nary a game has been played, one area of potential concern is the outfield, which could be an area of weakness for the team if things don’t go just right. Before Babe Ruth, perhaps the most feared power hitter in baseball history was outfielder Gavvy Cravath. Leading his league in home runs in six of his nine full major league seasons during the Dead Ball Era, the right-handed hitter struck fear into the hearts of opposing pitchers across baseball. Despite his near-Hall of Fame career, it turned out to be his work as a judge after his playing days were over that ended up most defining the intimidating slugger. 1919 Blacksox had 8 men suspended for life including Buck Weaver and Shoeless Joe Jackson. The 1919 Chicago White Sox (aka Black Sox) are perhaps the most tragic of all teams in baseball history. A powerful squad, they lost that year’s World Series to the Cincinnati Reds despite being heavily favored, and were later had eight of their players banished from the sport for their involvement or knowledge of a plot to intentionally throw the Series. One of those eight was third baseman Buck Weaver, who maintained his innocence until his death, yet was never reinstated. Unfortunately, he was sometimes his own worst enemy when it came to pleading his case. There have been more famous figures in baseball than Connie Mack over the years but few are still as recognizable as the tall thin man who spent over 60 years as a major league player, manager and team owner. A true pioneer of the game, the taciturn Hall-of-Famer had as much impact as anyone affiliated with America’s Pastime. With such a lengthy and noted career, he is a worthy subject for research and writing. You’ll find no better work on his life than Norman L. Macht’s Connie Mack: The Grand Old Man of Baseball- In His Final Years, 1932-1956 (University of Nebraska Press). Mere weeks remain until players for the Boston Red Sox report to spring training in Florida as the kick off to the 2016 season. A flurry of high-profile offseason moves have the team presumably sitting in a much better space than last year, when they finished in the basement of the American League East. However, they are far from a finished product and still have some uncertainty facing them as they prepare for another season on the diamond. Earlier this week it was announced that the Boston Red Sox had selected four new members for their Hall of Fame. Fans should have little trouble recognizing the first three inductees, former players Jason Varitek and Tim Wakefield, and former front office man Larry Lucchino. However, the fourth honoree, former outfielder Ira Flagstead, will likely leave many scratching their heads. Despite his anonymity, he is worthy of the honor and is someone whose career all Boston fans should become more familiar with. Appearing in 267 games during an 11-year major league career, pitcher Carl Scheib had a solid yet unspectacular showing as a big leaguer. However, he would likely have never gotten the change if not for a traveling salesman, who wrote Philadelphia Athletics manager Connie Mack to recommend the high school phenom— resulting in a 16-year-old Scheib working as the team’s batting practice pitcher in 1943 and making his debut before the year was over. As the last notes of Auld Lang Syne evaporate into the atmosphere, and 2016 stretches its wings for the first time, the realization that spring training is mere weeks away starts to settle in. Although the Boston Red Sox made a significant splash this offseason to upgrade their roster after consecutive disappointing seasons, they are still a work in progress. Let’s take a look at five of the biggest questions facing the team, and some predictions of how it will all play out. The 1927 New York Yankees epitomize dominance in athletics. Nearly a century later they are still mentioned any time a team is lapping the field in their particular sport. Led by future Hall-of-Famers Babe Ruth and Lou Gehrig, the Bronx Bombers went 110-44 and swept the Pittsburgh Pirates in the World Series. Looking back at the squad reveals a number of compelling tidbits.